Amy began weaving in 2002, on Cortes Island, BC, starting with old cedar bark found on the forest floor. Soon after, she learned the craft of willow weaving and combined the materials to make bicycle baskets. In 2011, preferring the flexibility and quality of cedar, Amy met a Haida Indigenous teacher , where she learned both harvesting and weaving techniques. Since then, Amy has returned each year to Massett, to study with a Master weaver, Marlene Liddle. Amy produces a variety of woven baskets, covers for bottles & books, placemats, card-holders and bracelets. Her craft work has been shown in Victoria, Vancouver, and on Quadra and Cortes Islands, with a signature piece at the Hershel Supply Company store in Gastown in Vancouver. 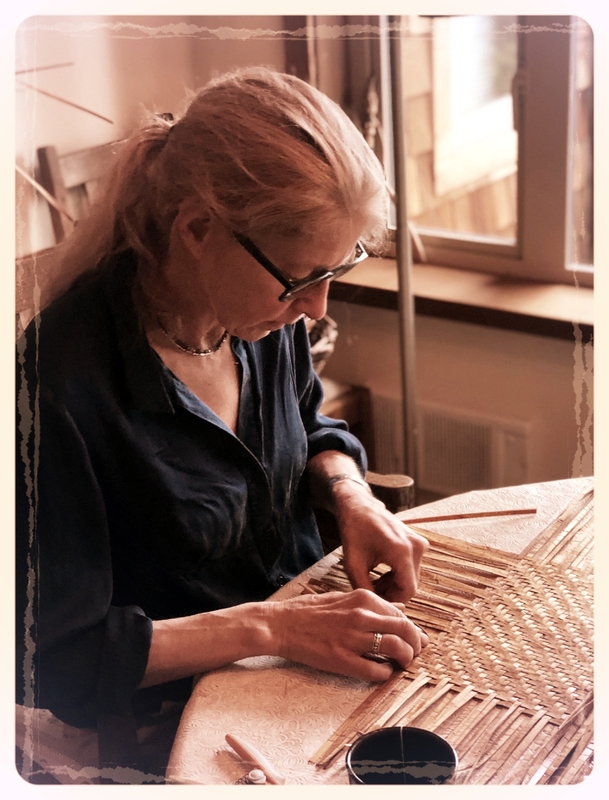 Amy teaches weaving wherever there is interest, providing a range of materials, styles and projects to anyone wanting to explore their creativity.